The draperRACING riders Tommy Philp and Aaron Clarke will contest the next round of their respective championships on home tarmac at Cadwell Park this weekend. Philp, from East Kirkby, will be riding in the two British Supersport races at the Lincolnshire Wolds circuit, and was at the track last week for a test ahead of the races this weekend. Despite the poor weather conditions, Philp was able to find a really good wet set up, so if it should be raining he will be well prepared. He was able to iron out some niggling problems with the Yamaha and is confident he will be on the case when the riders take to the track on Friday for free practice. Teammate Clarke, from Kirton, is also relishing the chance to ride at his local circuit where, last year, he recorded a strong seventh place and he will be seeking to replicate that on Sunday. 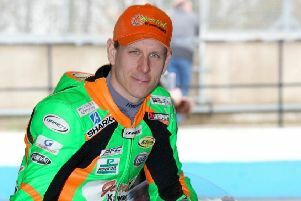 Aaron races in the Pirelli National Superstock 600 class and is improving his results and lap times with every outing. Supersport: Friday - free practice one 9.05am, free practice two 2pm; Saturday - qualifying 11.05pm, Sprint race 12 laps 5.15pm; Sunday - warm-up 10.20am, Feature race 16 laps 3.40pm. Superstock 600: Friday - free practice one 9am, free practice two 4.15pm; Saturday - qualifying 11.45am; Sunday - warm-up 8.52am, race 12 laps 10.45pm.